GRAFENWOEHR, Germany — The German federal election is Germany’s most important election and will next be held Sept. 24. The federal election is held every four years and is used to elect the new members of the Bundestag (German Federal Parliament). State and local government officials are elected by separate elections held at varying intervals. In the German government, the chancellor is the most powerful political position and serves as the leader of Germany. Candidates are not limited to two election cycles, but can run an unlimited number of times. Former Chancellor Helmut Kohl was elected four times, serving for 16 years, and is Germany’s longest-serving chancellor. Germany’s current chancellor, Angela Merkl, is from the Christian Democratic Union and has been elected three times. She is up for re-election in this election. Running against Merkel is the former president of the European Parliament, Martin Schulz from the Social Democracy Party. The chancellor is not directly elected by the German people. Germans cast one vote for a local federal representative to be a member of the Bundestag and cast another vote for the voter’s preferred political party. 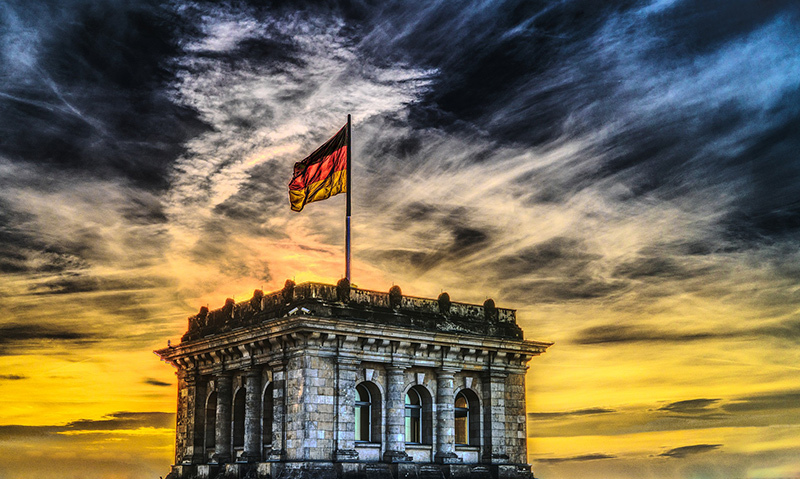 Unlike the United States, Germany has 34 political parties. When the election is over, each party will be given a percentage of parliament seats based on the percentage of votes they received – as long as that percentage is over five percent. This year it is expected that only four to six of the 34 parties, will achieve more than five percent of the vote. This means a party must get more than 50 percent of the votes to have a voting majority in the Bundestag. Since the first Bundestag in 1949, no party has never achieved it. To achieve a mathematical majority, political parties will form coalitions once the votes have been counted. The party, or coalition, with the highest percentage will then choose Germany’s next chancellor from the two candidates in the running. Those candidates come from Germany’s two largest political parties. Germany’s two largest parties are CDU / CSU and SPD. Historically, one, or both, of them have led the winning political coalition for each federal election. Germany’s main political parties are referred to by the dominate color used in their logo. That causes most Germans to talk in terms of color when they talk about politics. This chart shows Germany’s major political parties, and their associated color. There is one exception to the voting system throughout Germany and that exception is Bavaria. The CDU, or black party, is one of the dominant parties throughout Germany, but in Bavaria they are replaced by their sister party, the Christian Social Union, also the black party. This means a vote for the CSU in Bavaria, is a vote cast for the black party throughout all of Germany. When the different parties form coalitions, they will often be given nicknames based on the combination of their colors. The current government in Germany is a coalition between the black party (CDU and CSU) and the red party (SPD). It is commonly referred to as the Grand Coalition because it is made up of Germany’s two largest parties. This makes the campaigning before the election exciting. Parties will campaign hard against each other, and then often end up working together after the election in a coalition. Germany holds all elections on a Sunday by paper ballot – Germany uses no voting machines. The polling booths are usually in a public school but may be in a guesthouse in a small village. Germans do have the option to vote via mail prior to the election.